This is just a standard Kenner file photo that doesn't appear to have been used elsewhere. 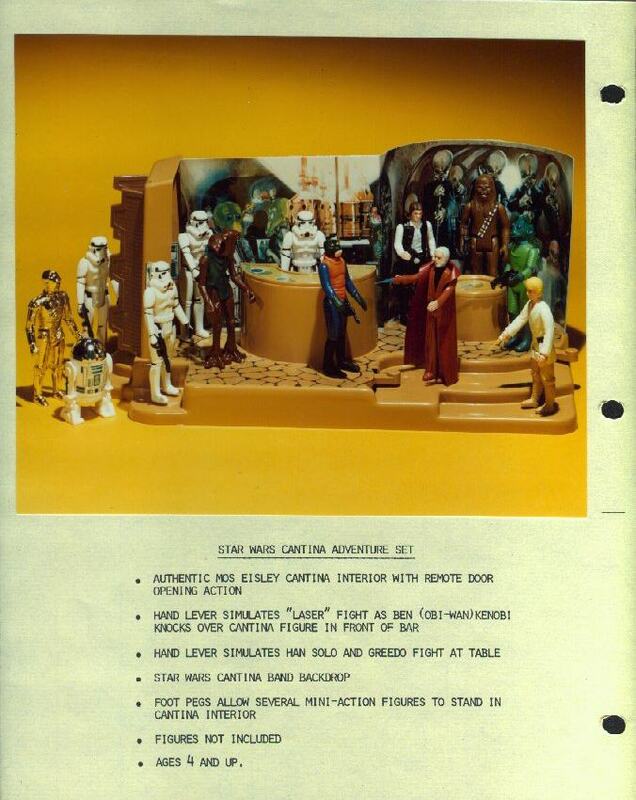 It's unfortunate that photo isn't the same one shown in the 1979 Kenner in-pack catalog since that was an early version of the Cantina and this book of product sheets contains many early photos. There is a difference between it and the released toy though because this one has black outlines highlighting the "stone" floor.